It turns out Facebook may have been right all along, and "Likes" really are a protected form of free speech. 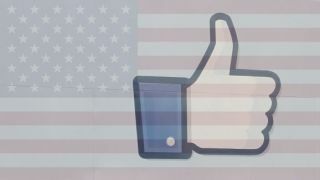 A case that began in 2009 when six of Sheriff BJ Roberts' deputies Liked the Facebook page of a political opponent has resulted in a ruling that Facebook Likes are protected by the First Amendment of the U.S. Constitution. When Roberts was re-elected, he fired the six deputies who had shown support for his opponent on Facebook. The firings were deemed illegal today by the Fourth Circuit Court of Appeals in a ruling that will certainly have positive repercussions for chronic Facebook Likers down the line. An earlier ruling in this case determined that making a political statement requires more than simply clicking a Like button, but today's decision supersedes the earlier ruling with the assertion that Liking a political page on Facebook is the online equivalent of posting a sign in your front yard, which is already considered a protected form of speech. "That a user may use a single mouse click to produce that message that he likes the page instead of typing the same message with several individual key strokes is of no constitutional significance," the court determined this morning. The sheriff's deputies aren't getting their jobs back, but now they're free to sue their former boss for discriminating against them based on their protected speech. What does this mean for the future? With the precedent that Facebook activity falls under free speech protections, employees in the U.S. can finally Like whatever they want without fear of persecution. And to think we came so close to the brink of another dark age! Free speech or no, they're watching - governments requested info on 38,000 Facebook users in six months.